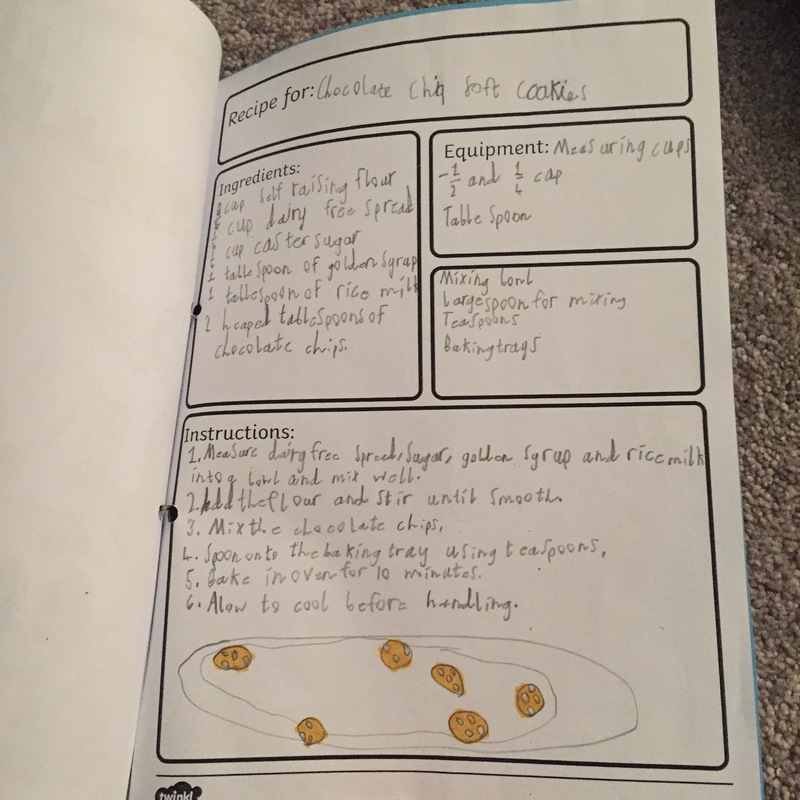 This is a recipe I wrote to bake with a group of thirty Primary six (age 9) school children in a very basic kitchen classroom after I had been invited by my son’s teachers to share a cookie recipe that was safe for all the children in the class. My son has multiple severe food allergies and to get to bake safe cookies with his class mates was a hugely enjoyable and inclusive experience. For me it was the joy and lack of stress of him baking in a room where allergens were not present. The children were aware the recipe was safe for my son but we did not focus on it being a free from cookie and they were really just excited to be baking cookies! 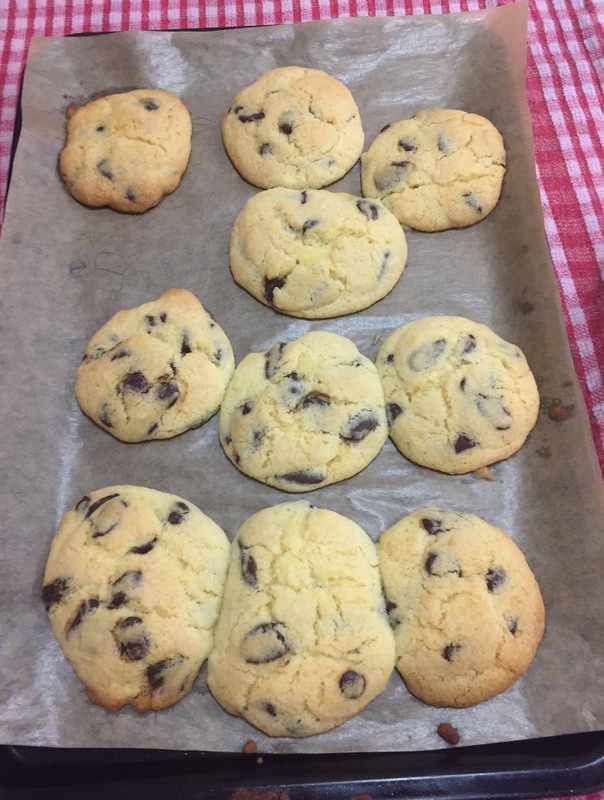 The children were divided into groups of five and the recipe made them two cookies each. The following shopping list was enough to make 60 cookies with a little spare. 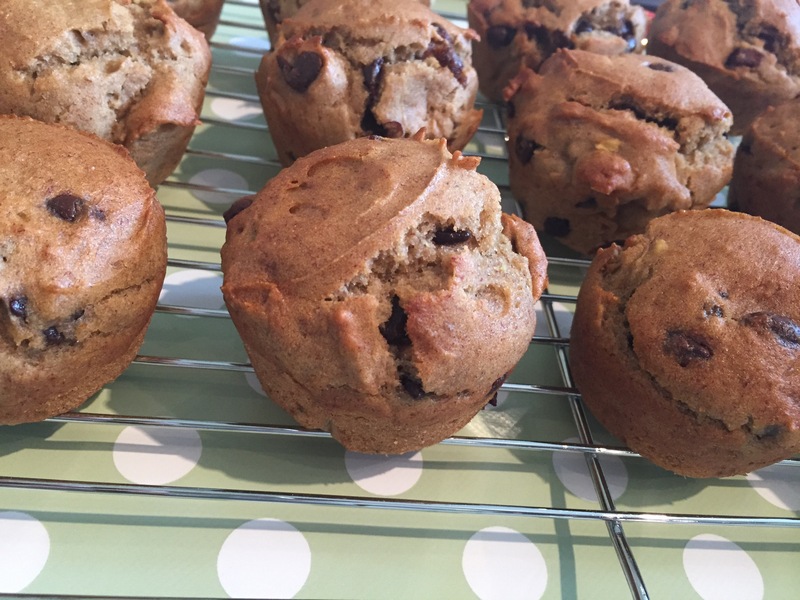 Dairy free chocolate chips – I brought in a catering bag of Plamil dairy free chocolate drops from home (dairy, gluten, nut free but may contain traces of soya) Moo free also sell dairy free chocolate drops (may contain traces of nuts). If you cannot find chocolate chips safe for your needs buy bars of safe chocolate and get the kids to break it into pieces to make chunky chocolate chips. 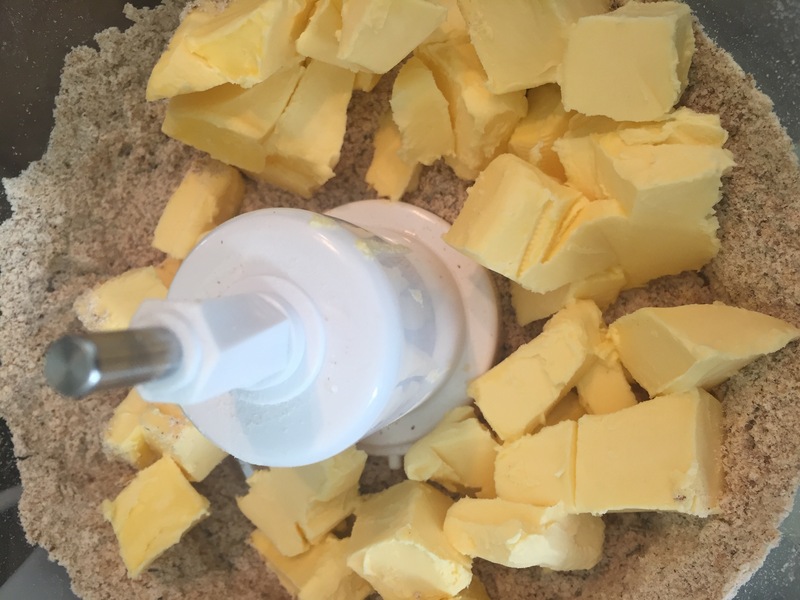 Using one teaspoon to scoop and one to push the mix onto the baking tray measure out 10 cookies. 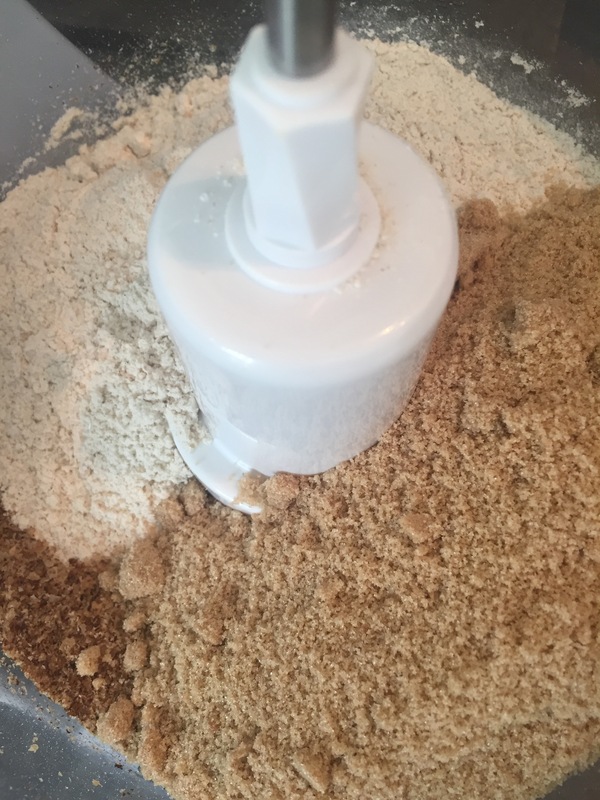 Each child placed two spoons of mix onto their group’s tray. Try to leave space between each scoop as the cookies spread in the oven. An adult should then place the trays in a preheated oven for 10 minutes. Cookies on a lower shelf may need a couple of minutes longer. 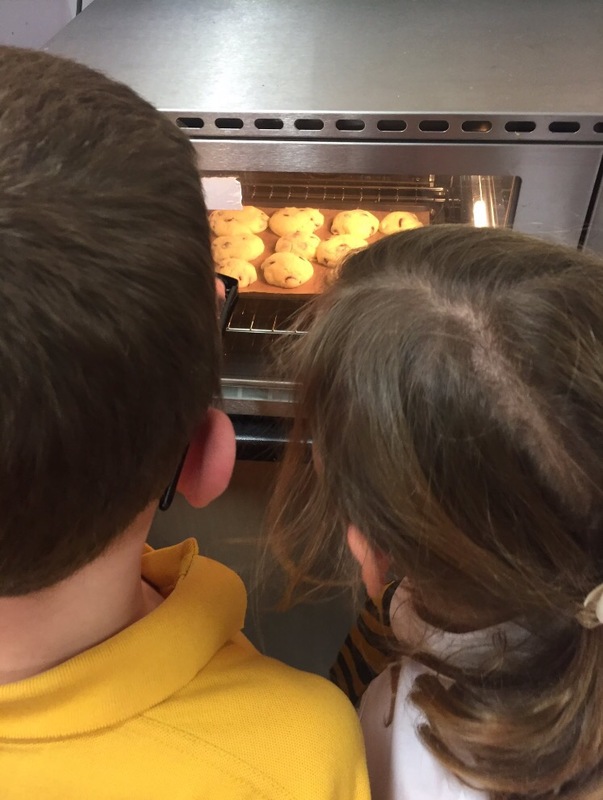 The whole class were very enthusiastic about baking cookies and worked really well together. 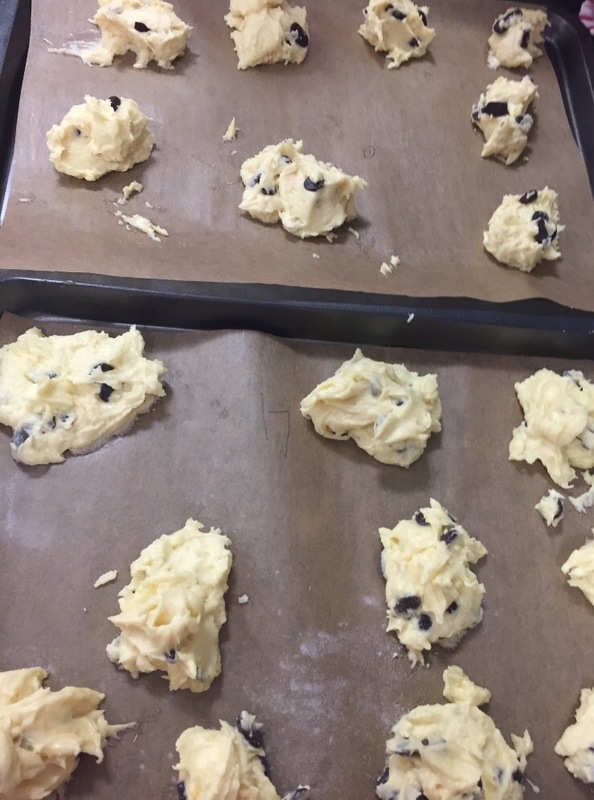 Despite fairly haphazard measuring and mixing everyone ended up with a lovely tray of soft style chocolate chip cookies. The cookies are best left till completely cool before handling. The children wrote out the recipe as part of their extended writing which had a Christmas theme including baking cookies for Santa. 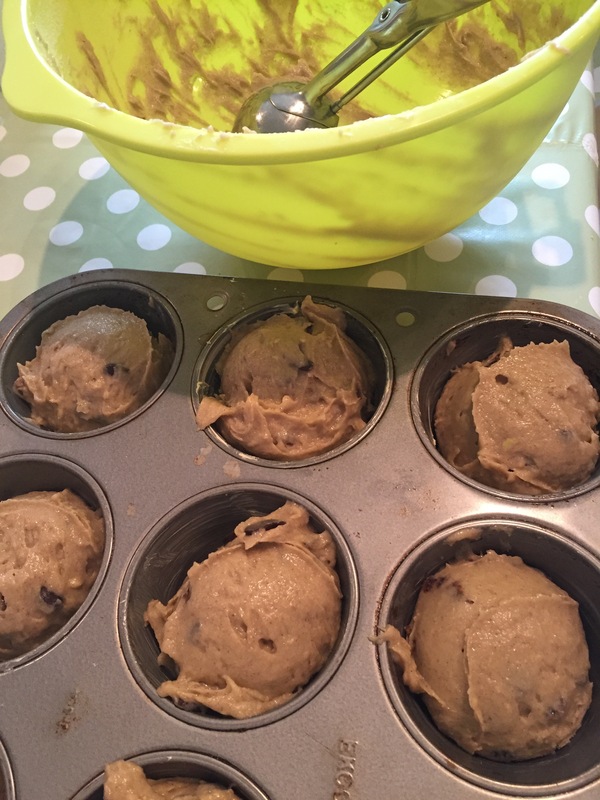 A huge thank you goes out to my son’s teachers for organising such an inclusive and fun baking session. When you are deciding what to pack and how many bags to pay for on your flight bear in mind how heavy emollients and safe toiletries/sunscreens are! We managed with two 22kg bags in the hold but it was a challenge! In preparation I baked up a storm (muffins, brownies, biscuits and wraps) I try and carry safe food for the length of the journey plus one extra meal and spare snacks. I also pack safe bread/rolls, cereal and chocolate. If you have space a small cool bag in your suitcase with dairy free cheese is not a bad plan! Handy to have the cool bag on holiday for picnics. Be aware children always eat way more than you anticipate when travelling! Remember you’ll need safe options for the journey home also. My husband programmed all relevant destinations into the sat nav. 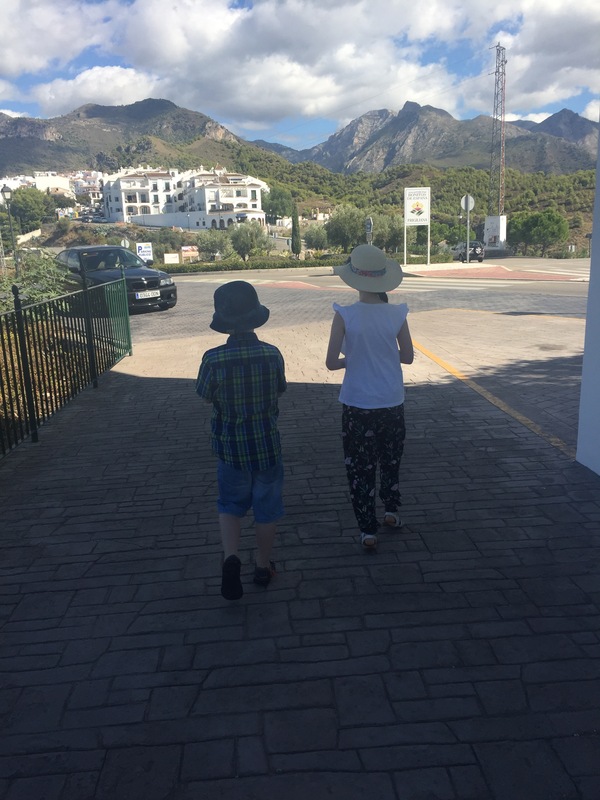 For us that was the villa we were staying in, local supermarkets and the nearest hospitals in Malaga and Nerja. 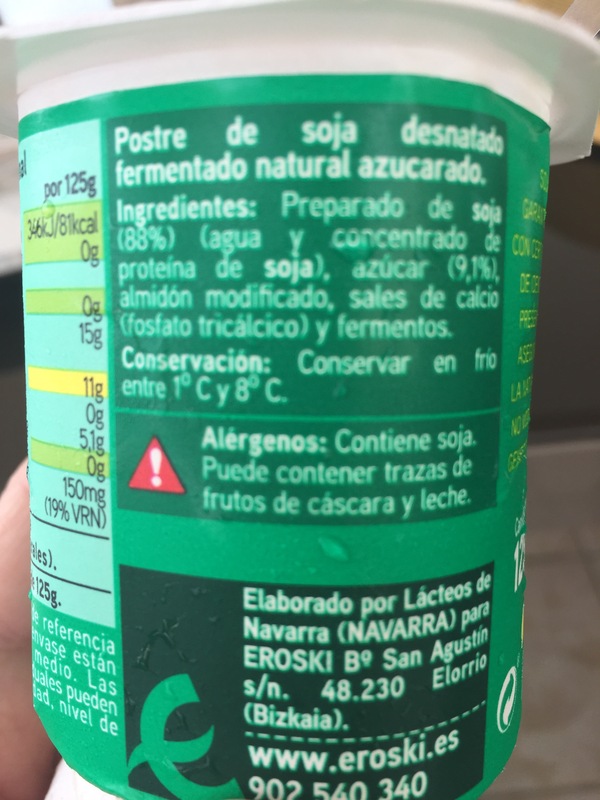 We had our allergen Spanish translations from our last trip. I’m now fluent in allergens in English, Portuguese and Spanish! When we shop I look for allergens on the packaging then when we get back to the villa (and wifi!) I google every single ingredient before we eat anything! 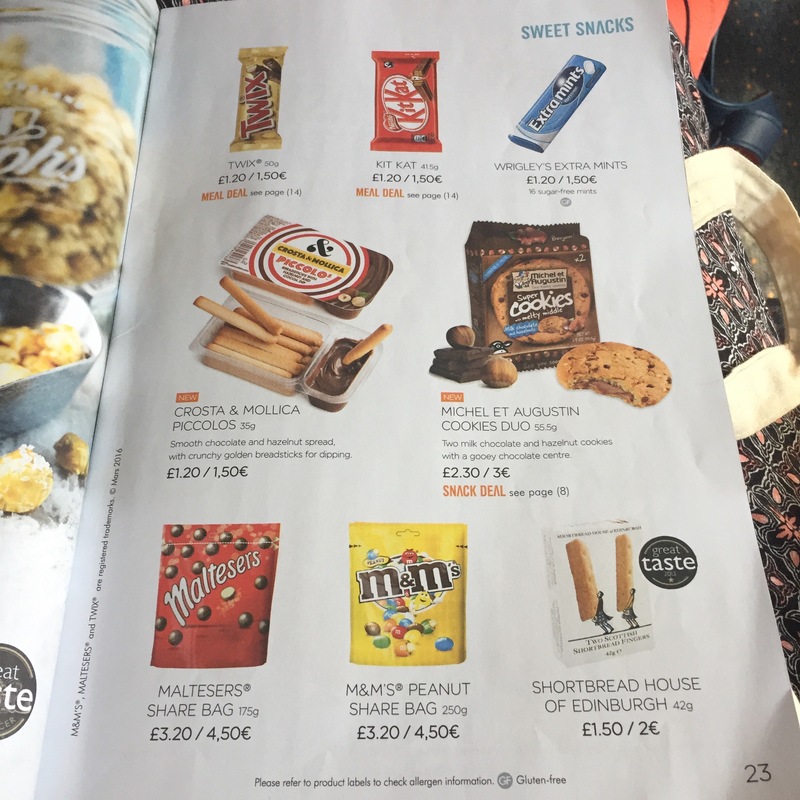 Last year we flew to Malaga with Ryanair but the flight from Edinburgh gets in late in the evening on a Saturday when supermarkets are closed, they are also closed on Sundays and as there was a local festival on the main local supermarkets were also closed on the Monday!! Not good for any allergy mum’s sanity!! 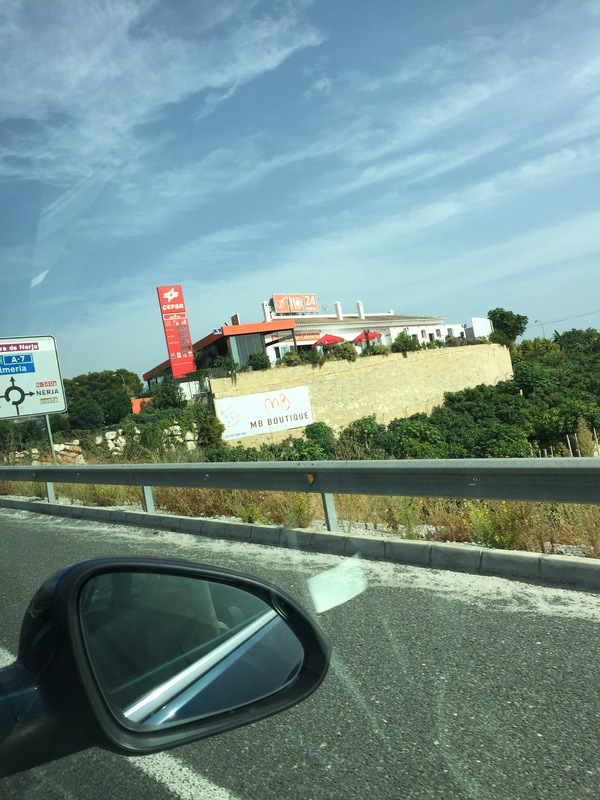 There is however a 24hr garage on the outskirts of Nerja where you can buy basic provisions for travellers without special dietary requirements if you do arrive late. 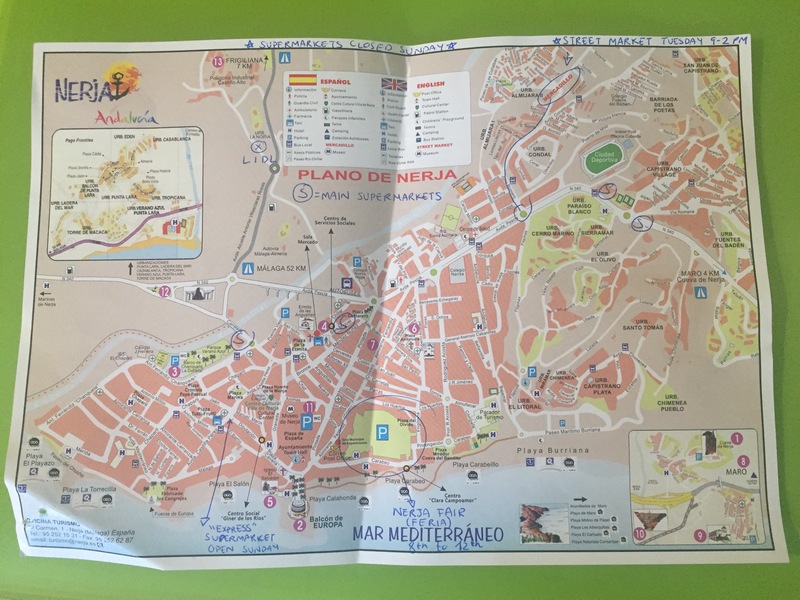 There are also small touristy shops open in Nerja on Sundays which you can hopefully see marked on this map left for us by our holiday rep.
Last year Ryan air were excellent with regards to our son’s nut allergy. 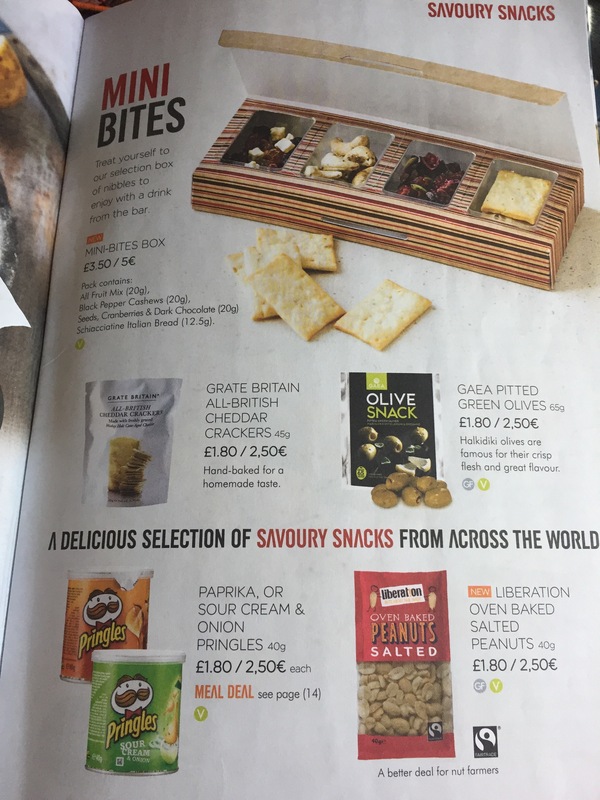 They made a very clear announcement on board asking passengers not to eat any products containing nuts that they had brought with them and they did not sell any nuts or anything containing nuts during the flight. That was our only stress thank goodness. 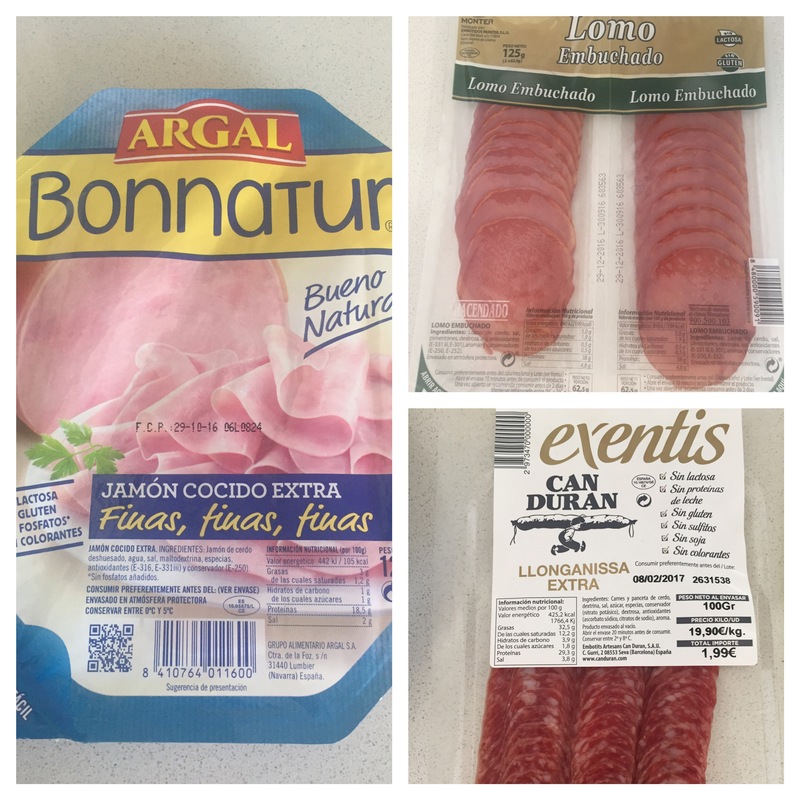 We arrived in Malaga at lunchtime, picked up our hire car and drove to the Eroski supermarket in the El Ingenio shopping centre in Velez Malaga which was about half an hour’s drive from the airport and halfway to our Villa. We did a big shop, if you plan to buy lots of groceries while also carrying all of your luggage hire a big car!! We knew the kids wouldn’t be keen to go back out once we reached the villa and the pool and luckily we fit everything in. If you are dairy and soya free your options are limited. 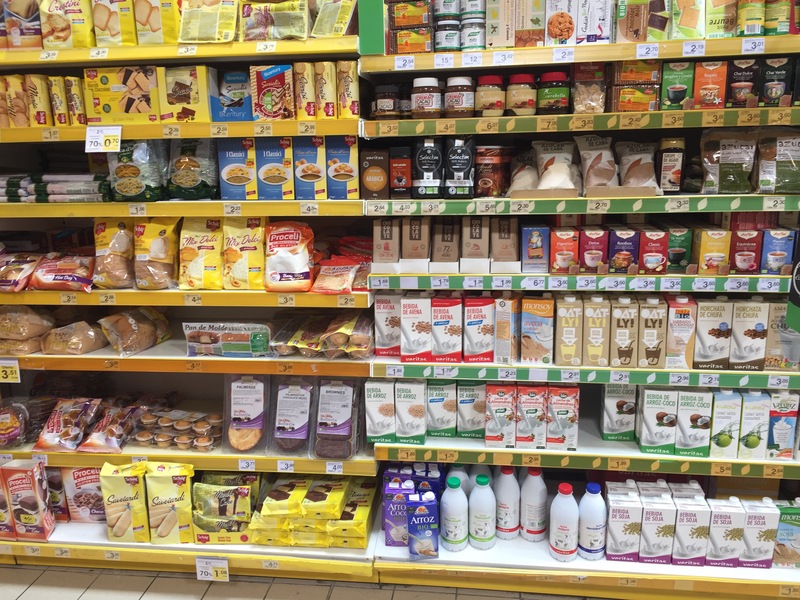 You can buy rice, almond, oat and coconut milk and dairy free spread but yoghurts and desserts were all soya based or lactose free. The only cheese option I spotted was lactose free but still contained milk. Lactose free seems much more common and widely available than dairy free. Take care even with soya yoghurts as the natural own brand yoghurts I bought in Eroski (for me) had a may contain traces of nuts and milk on the label. It’s quite a challenge to find cooked meat that does not contain milk or soya. I recommend buying a couple of packets if you spot a safe option! These are some that we found. Eroski stocked some gluten free baked goods including Schar baguettes but no safe biscuit options for us. 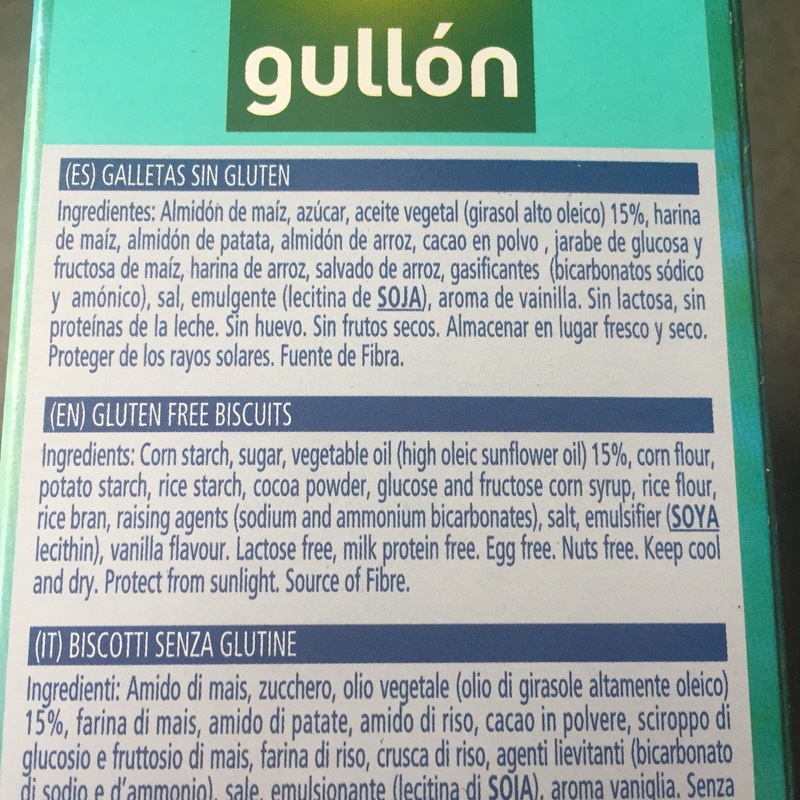 They had Gullon Maria biscuits which are free from gluten, milk, egg, nuts and soya but alas contain pea which my son is allergic to. We bought enough for 3 nights simple meals. We keep it basic on holiday, meals like grilled meat, salads and baked potatoes and packed lunches of rolls, crisps & fruit. We bought Lays salted and salt & vinegar crisps which were ok for us. 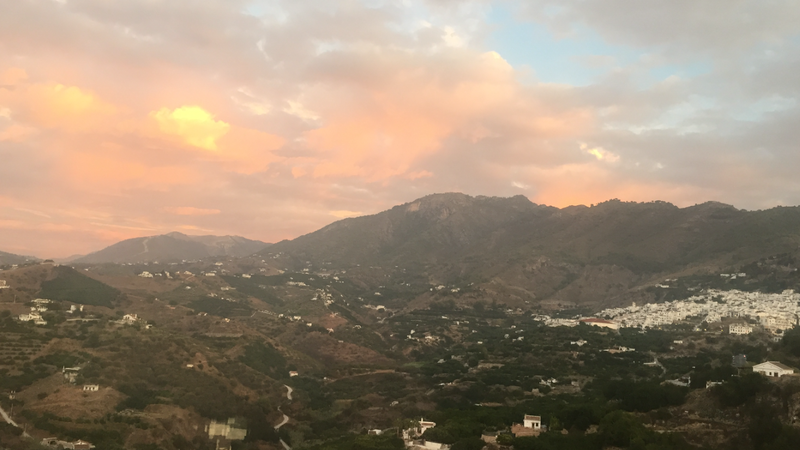 Our villa was up the hill from Nerja on the outskirts of Frigiliana and it was gorgeous! 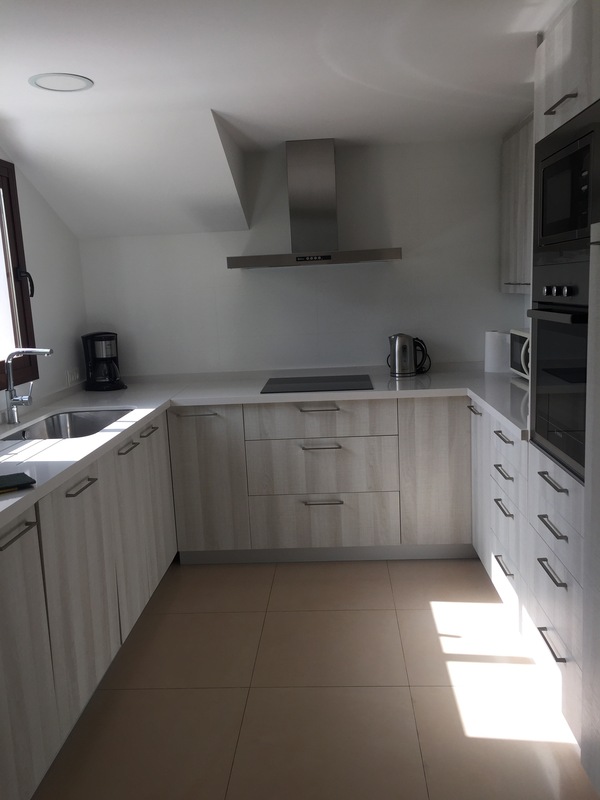 We booked through Villa plus http://m.villaplus.com/ as we have used them before and have been very impressed with the service and quality of accomadation. It had a lovely modern well equipped kitchen and a large fridge and freezer which was ideal for our needs. I travel with my own chopping board and we wash everything before we use it and avoid any kitchen equipment I don’t like the look off! 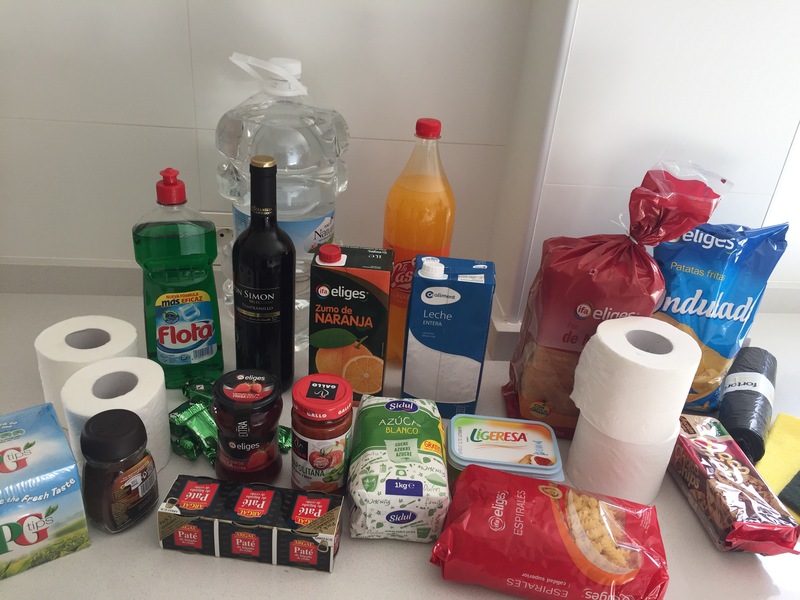 Our villa was a Very villa plus so came with a starter pack, we knew this but shopped anyway as we have very specific dietary requirements! Our second shop later in the week was at the Mercadona in Nerja. This is a fairly small supermarket compared to the big U.K. 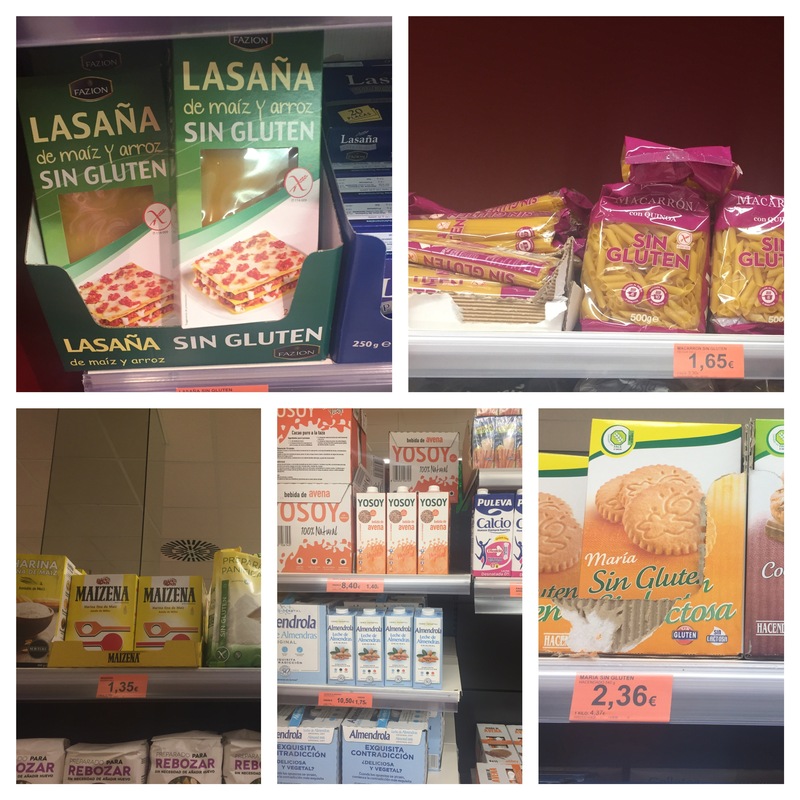 Ones but we were able to buy what we needed and they sell basic gluten free products. These are not in a dedicated section but spread out throughout the store. Again quite an emphasis on soya but there were other dairy free milks available. 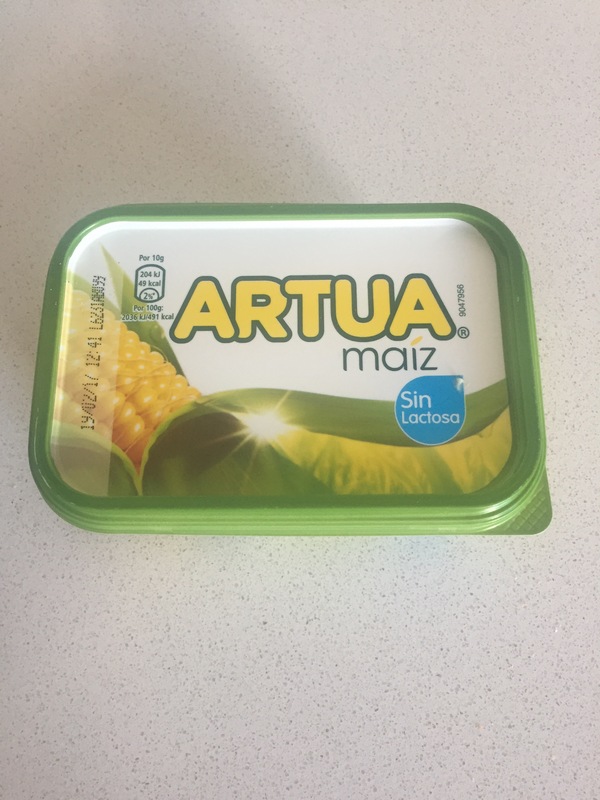 We bought this dairy free spread which was available in both supermarkets. 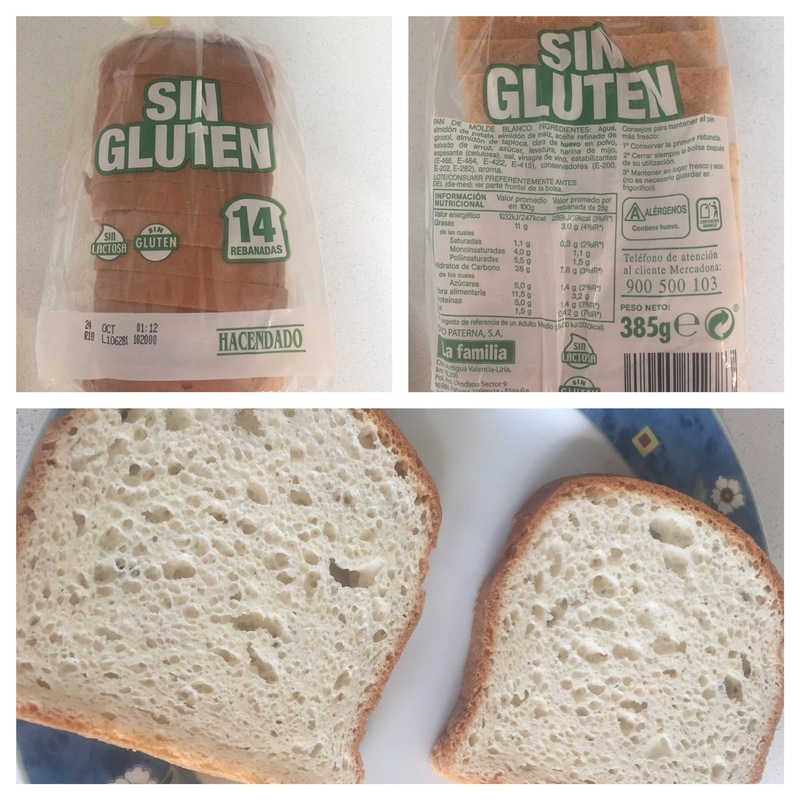 They had one loaf of gluten free bread. No good for my son as it contained egg. We were staying at the quieter end of the Costa del Sol. The busy more tourist orientated end is a whole different story! 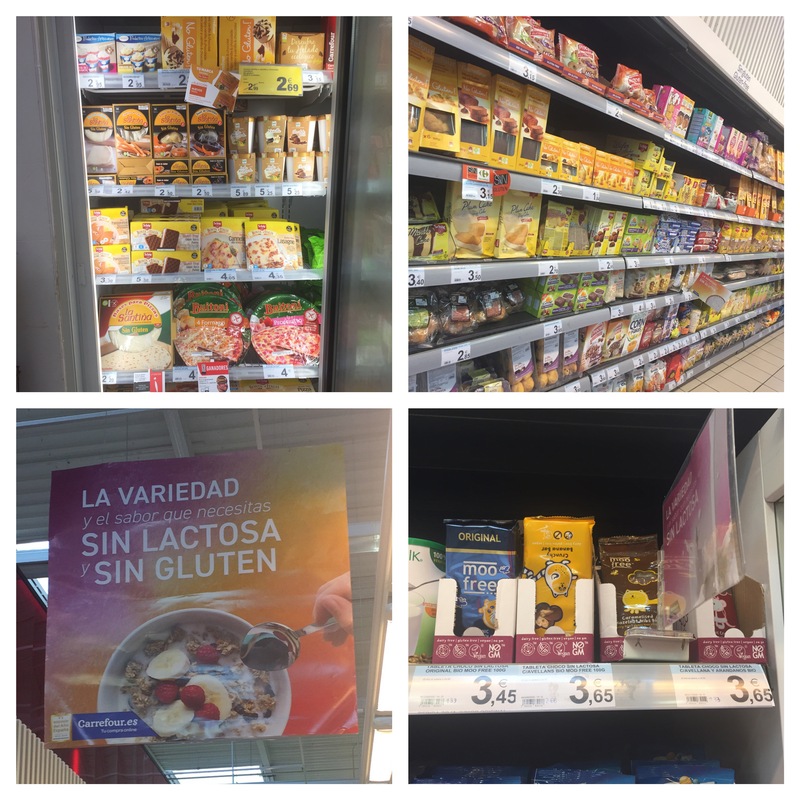 We visited the Sea life centre in Benalmadena (about an hour’s drive from Nerja) on our one rainy day and despite not needing groceries I asked nicely to pop into a supermarket for a nosey. Oh my goodness. The Carrefour supermarket in Torreminolinos is amazing!! My husband just laughed at my excitement! Says something that checking out a supermarket is something I’d do for fun on holiday. Anyway, check out the highlights! Such a thrill finding Moo free chocolate bars! 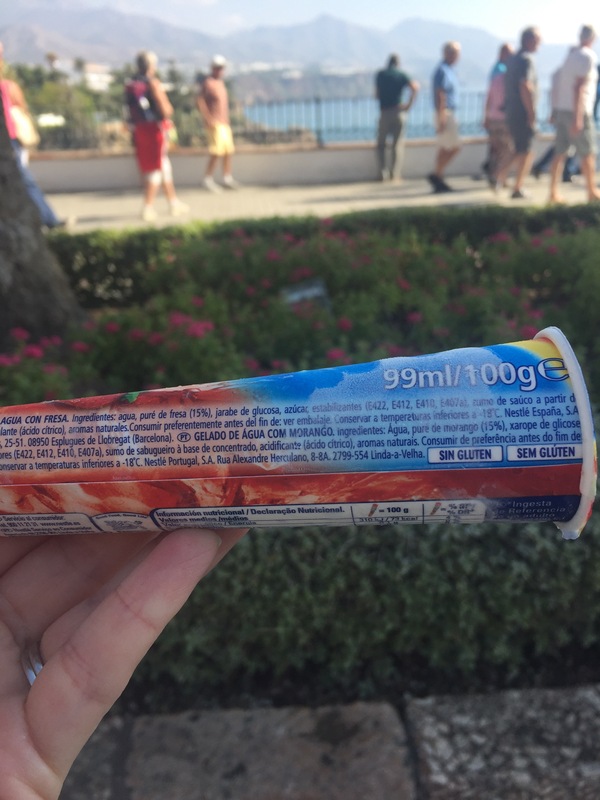 I didn’t see any other dairy free chocolate on holiday. I also bought these biscuits which my son loved! We didn’t eat out on holiday, I’m still working up the courage to do that and the language barrier scares me. I need to work on my Spanish! 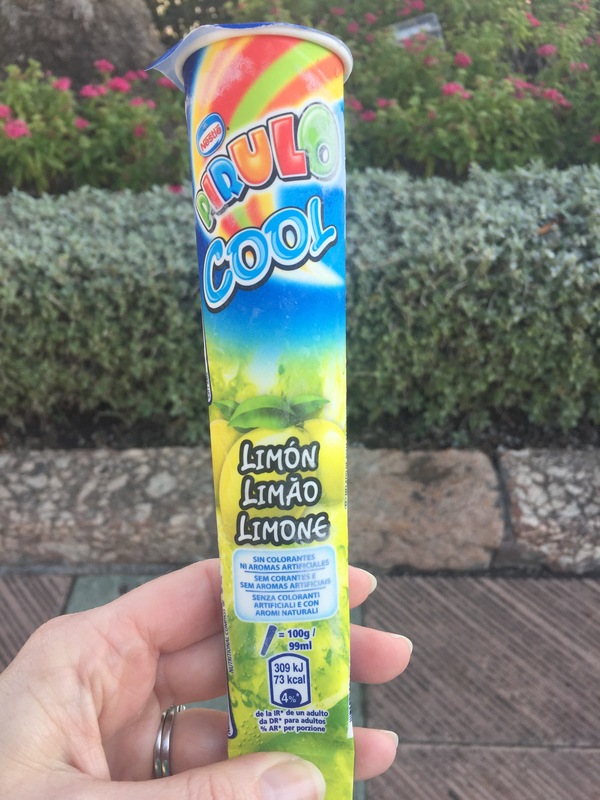 We did buy ice lollies out and about. We had a lovely break and the sunshine and scenery was gorgeous! Nerja is at the quiet end of the coast and October is low season but my kids are content with a pool to play in and books and their electronics. Burriana beach is a lovely spot but the sand is very gritty/stony for tender footed (fussy!) children. Did I mention the scenery? I’m on a mission to come up with a plain biscuit style snack for my son to take to school for a play piece. Something a little more nutritious than just flour, sugar & fat. 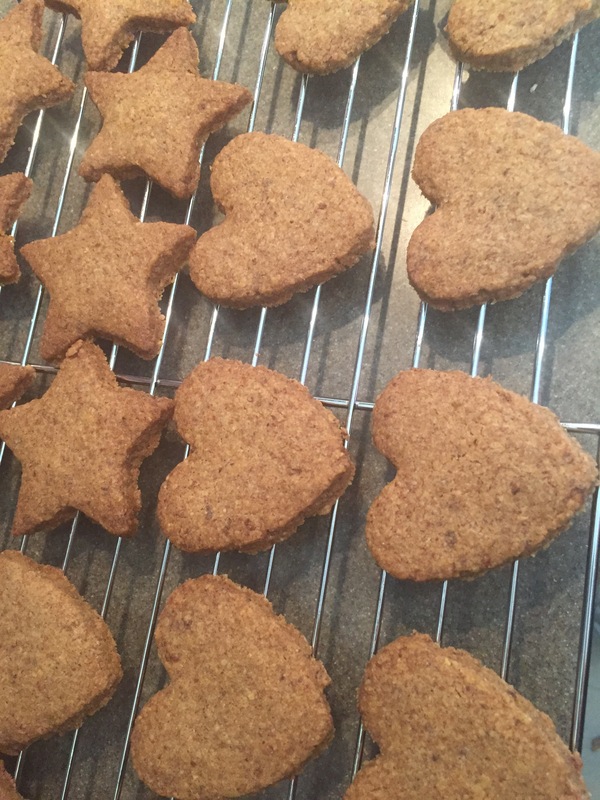 I’ve been using the basic shortbread recipe I like and mucking about with the ingredients. I really liked the ones I made with oatmeal and Sunbutter in them but alas he did not. Today’s effort was made using Nutribix. I’ve only made these once! I’m sharing at special request but I think they turned out pretty well. 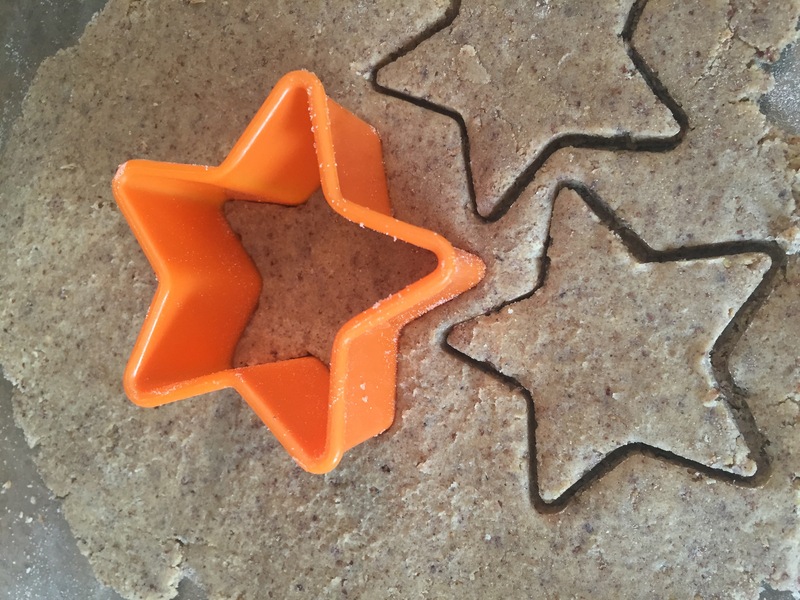 Cut out shapes and place on a baking tray. You may want to line your tray with baking parchment, I didn’t and a couple of my biscuits stuck! I made two trayfuls. Bake for 8 minutes then rotate the tray and bake for a further 8 minutes. Remove from oven and allow to cool for a few minutes on the tray before transferring to a cooling rack. My hearts worked better than my stars as the points of the stars got a little crunchy. Remember you’ve made them for your children and don’t eat them all before they come home from school! Banana muffins/loaves are a staple in our house. 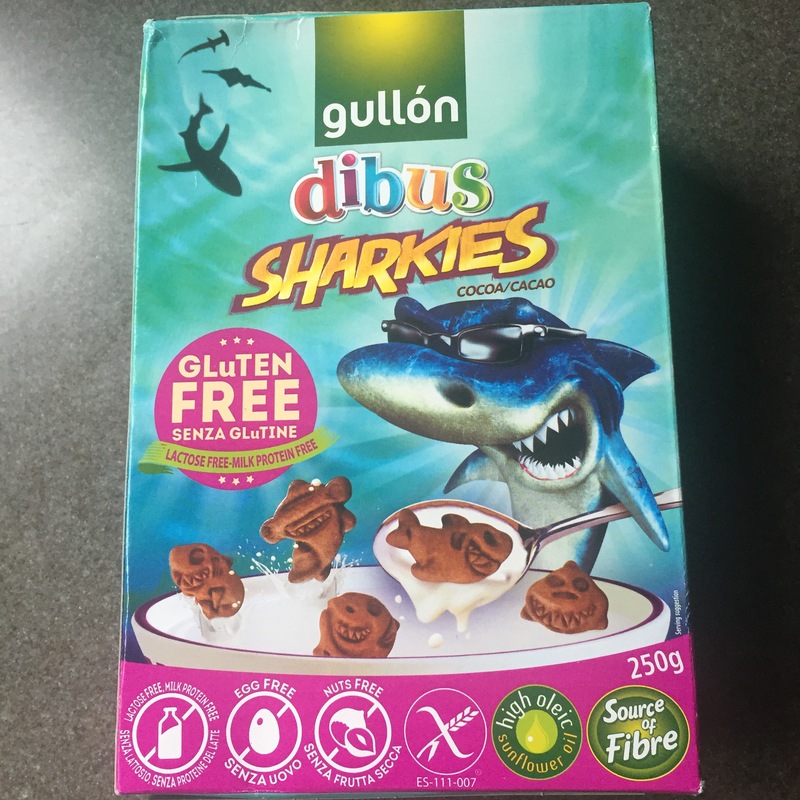 Great for breakfast, after school snack or with dairy free custard for pudding. 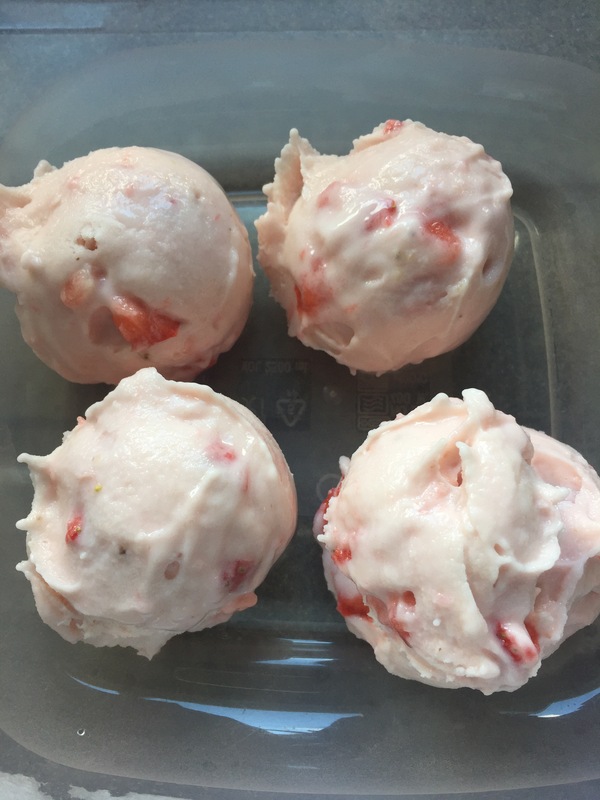 This is a twist on my regular recipe in an attempt to get some healthy fat into my kids. We are a nut and butter free house which leaves our options limited. I’m a great believer in ‘if we’re not allergic to it we should try eating it’ unfortunately when it comes to avocado my kids point blank refuse. 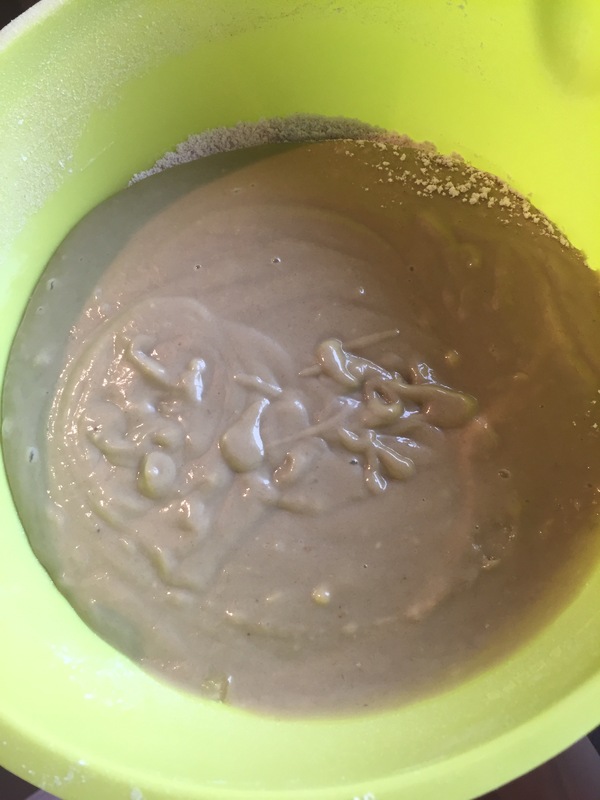 Honestly one bad experience with a ‘healthy’ avocado chocolate mousse…. 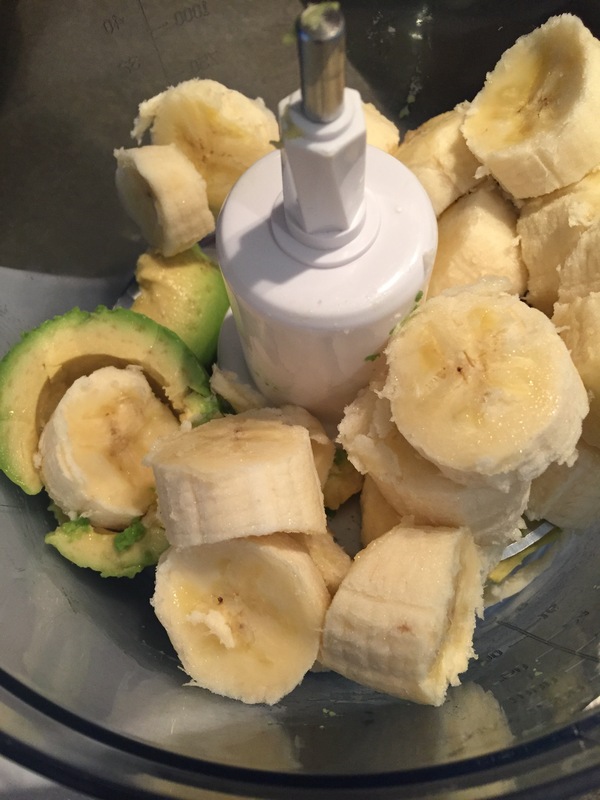 Anyway I’ve discovered if I blend it so no green bits show my kids will cheerfully if unknowingly eat avocado. Just not in an unsweetened chocolate mousse. If your kids are fussy you need to blend it silly till completely smooth or they’ll spot that one teeny bit of green and freak out. Measure flour, xanthan gum, baking powder, bicarbonate of soda & cinnamon and sift into a large bowl. Whisk to combine. Once smooth add the oil then the apple purée and then the sugar. Finally mix in the cider vinegar. Pour wet ingredients into the bowl containing the dry ingredients and stir well. If using mix in the chocolate chips and dates. Distribute the mix evenly between the 12 holes. I find an ice cream scoop works really well for getting 12 even sized muffins. If you’d like a more rustic look you can spoon the mix in. Bake for 18 minutes and once the tray is cool enough to handle transfer the muffins to a cooling rack to cool completely. We like to eat ours cut in half with some dairy free spread. They’ll keep for 3 days in an airtight container and also freeze well. 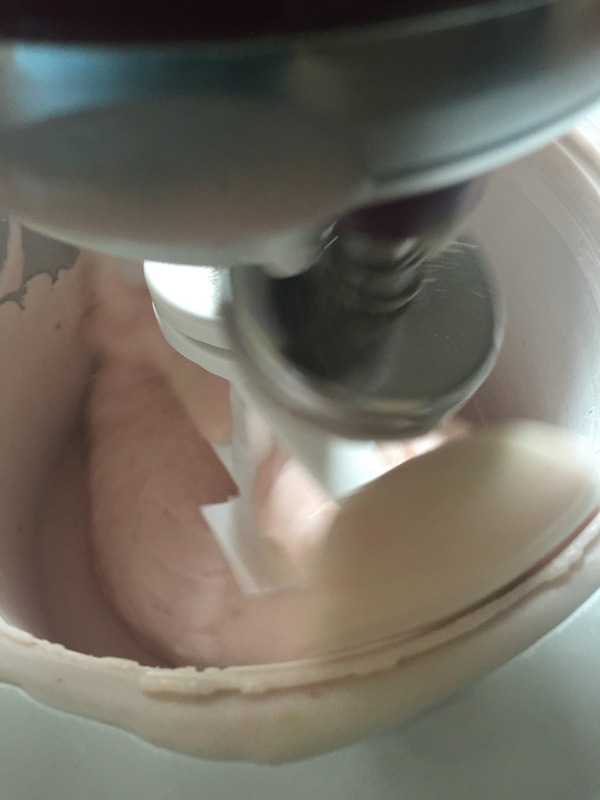 Place the aquafaba in the mixing bowl of a stand mixer with the cream of tarter, xanthan gum and gel colour and whisk on the highest setting until it’s lovely and fluffy (can take 10 minutes). You could try it by hand but it would take a lot of whisking! 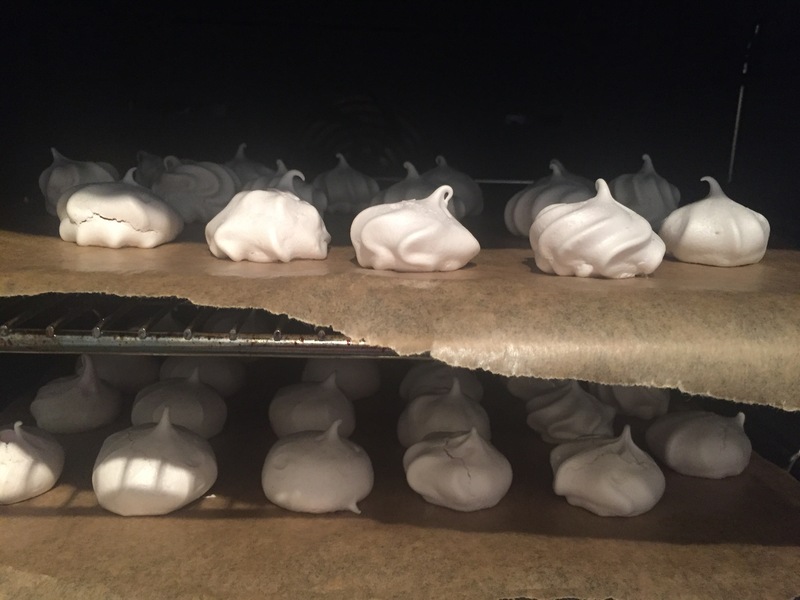 Either pipe or spoon the mix onto the baking trays with a little space in between to allow for spreading in the oven and bake for 30 minutes at 120C then reduce the temperature of the oven to 90C and bake for a further hour. Turn the oven off and leave in the oven until it’s cooled completely. I sometimes make them before bed and leave them till morning. Store in an airtight container. Best eaten within a day or so. 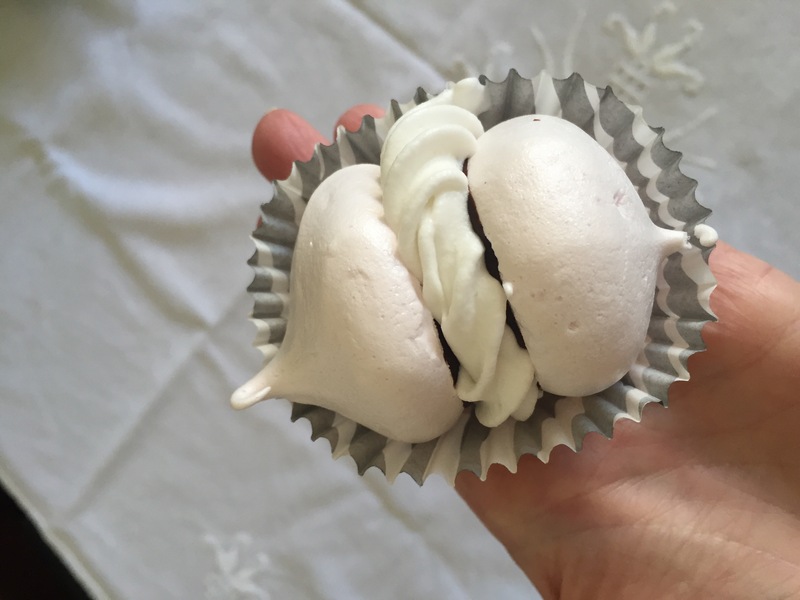 Gorgeous dipped in dairy free chocolate and served with whipped coconut cream but eat quickly before they go smooshy! It’s a small cafe in Park Lauderdale which I can totally reccomend if you have kids as it has an excellent play area. 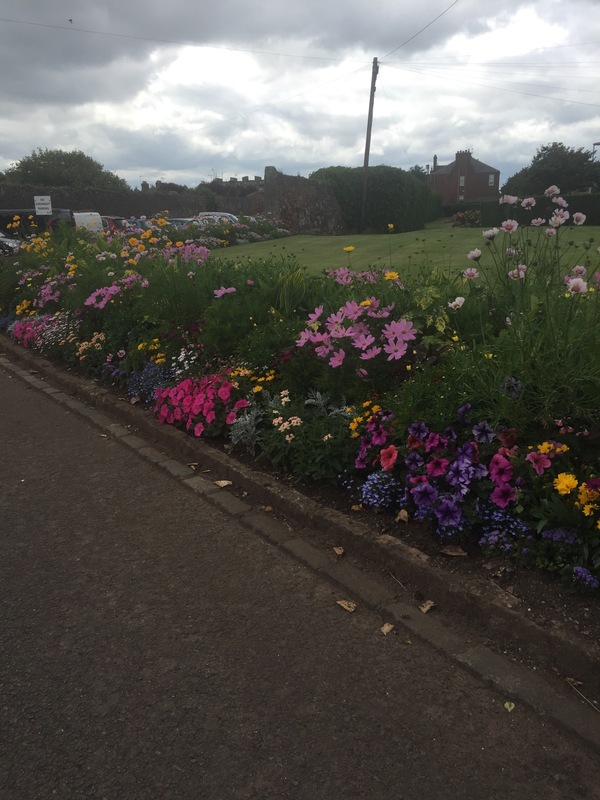 Also a nice spot to visit minus children as the play area is far enough away from the cafe not to cause too much noise pollution and the park while small has beautiful flowers. There is ample parking. Everything baked on site is free from gluten, egg, milk and nuts. 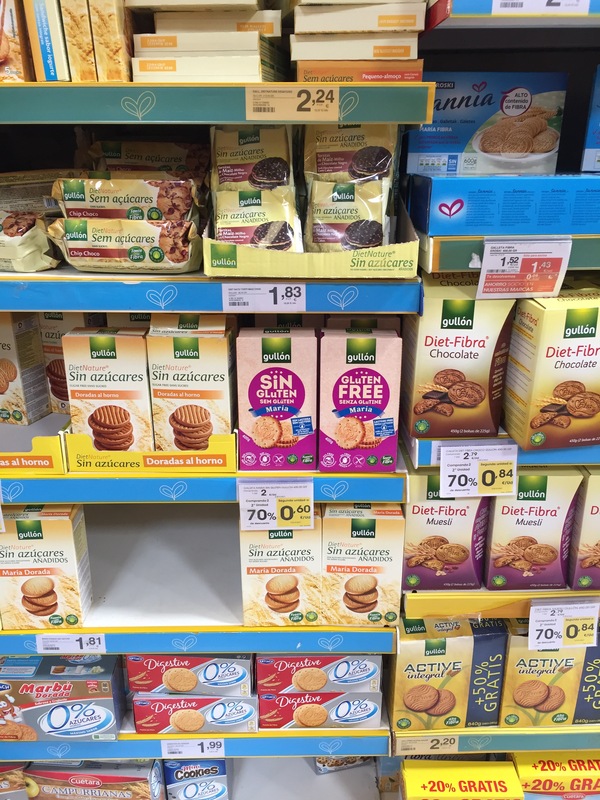 There are soya products in the kitchen but all allergen information is available for the goodies on sale. 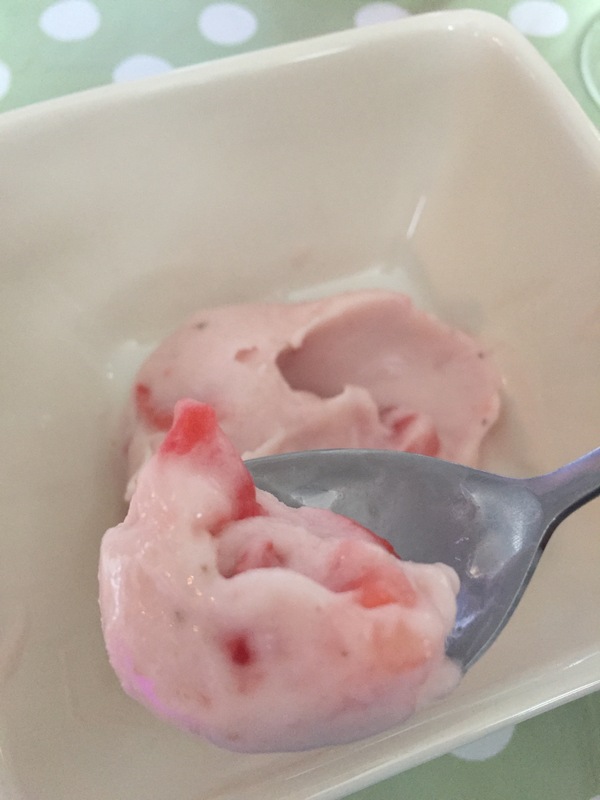 The dairy free ice cream on sale is Iced delight. There were regular fresh scones and sausage rolls available but these are ordered in and stored completely separately from the allergen free baking. I can’t comment on the lunches as we just had tea and cake. 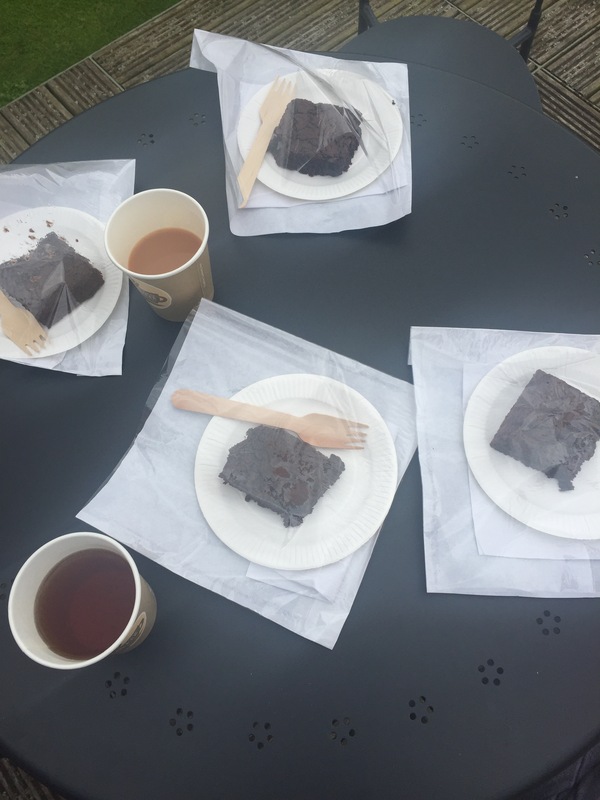 Can you imagine going into a cafe as a family and ordering safe chocolate brownies for all of you? 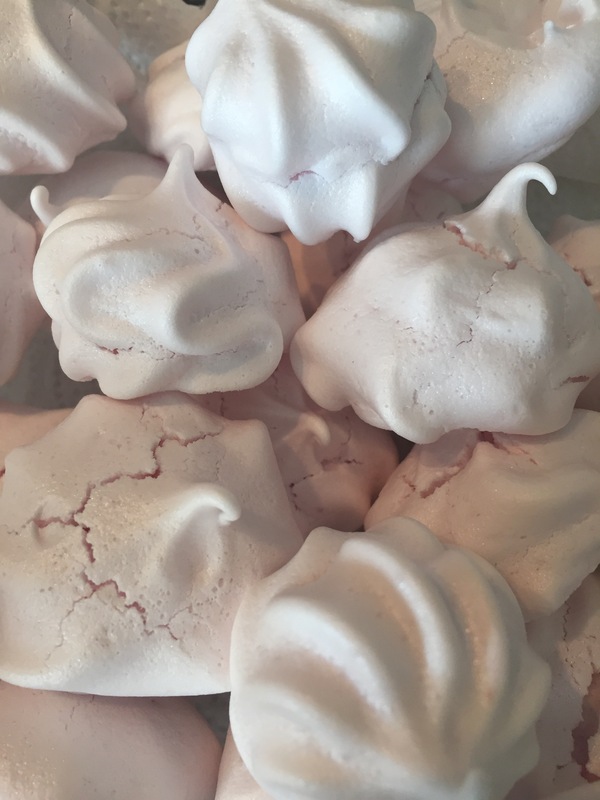 They looked so good it was really hard to believe they were completely allergen free! (For us that meant milk, egg, wheat, peanut, tree nut, pea and lentil free) *Always check the ingredients to ensure food is safe for your needs*. I’ll admit to a little chest pain ordering one for my son as we have never had safe baking from a cafe before but the proprietor’s daughter has severe allergies and if you can trust anyone it’s an allergy mum! (But always check to make sure you are happy!). Wow. 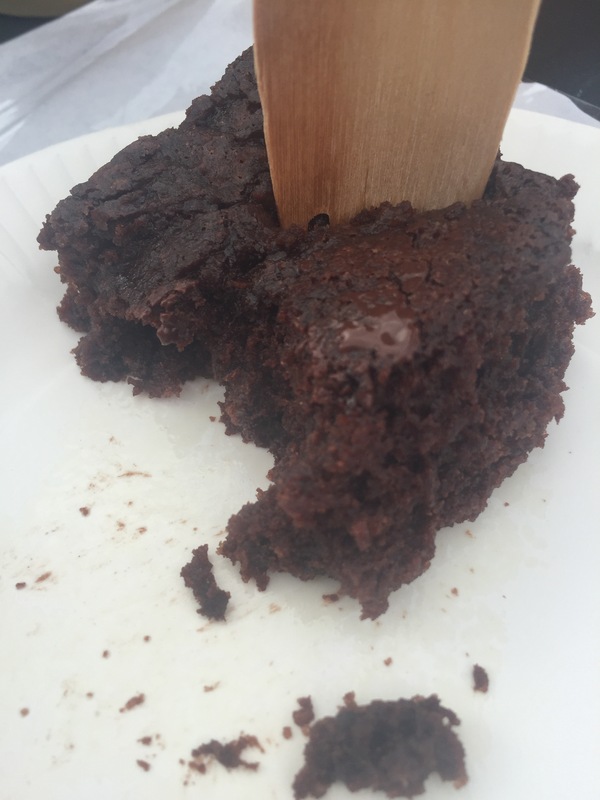 Moist fudgey chocolate brownies. We all enjoyed them including the allergen eaters amongst us. I could have eaten a second bit no problem but I have excellent self control……kidding! 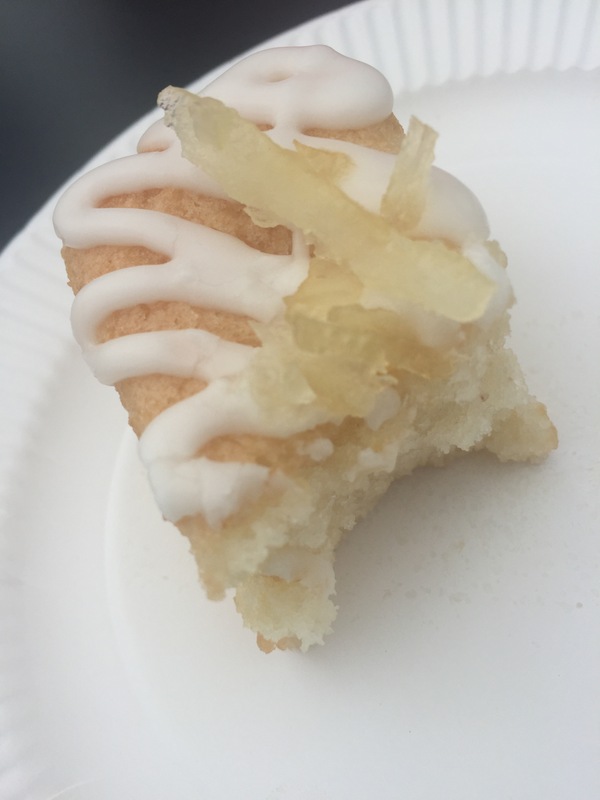 I didn’t have a second bit though I had a mini lemon loaf instead, also delicious, I’m needing the recipe book used here! 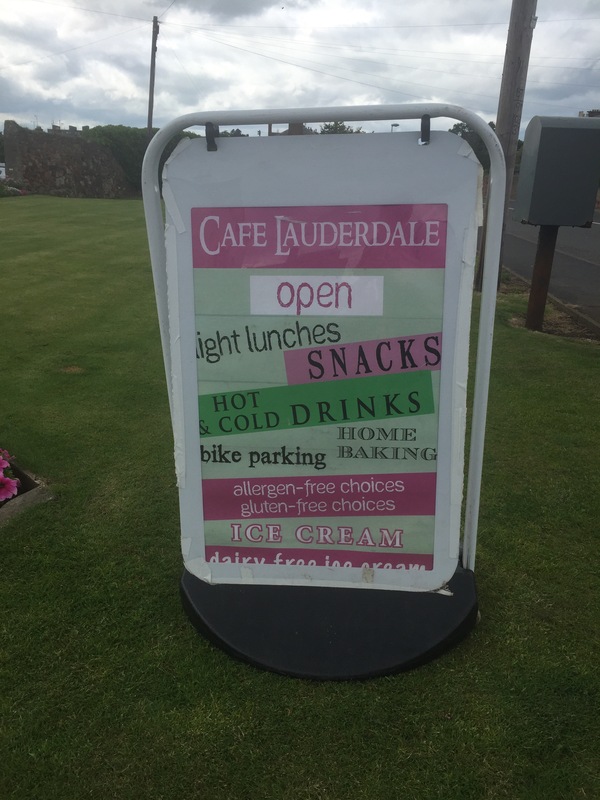 So if you’re in Dunbar or frankly if you’re in Edinburgh it’d still be worth the drive, visit Cafe Lauderdale. We’ll be back.